Who can resist a delicious ice cream? I can tell you quite calmly that I do not. 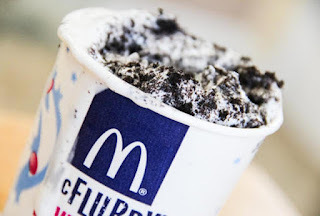 But not all ice creams are the same, and there is one especially that although not especially traditional or recognized for its quality, has a large number of followers: the delicious McFlurry McDonalds. And that glass full of rich ice cream with fluid texture and full of tripping that you have to devour with a spoon is simply an irrevocable temptation . That is why, when you go to the famous chain of fast food restaurants and they tell you that there is no or that the machine is broken, it is often a drama! McDonalds: sorry our ice cream machine is broken. To solve this displeasure someone has come up with a definitive app for these needs . His name is Ice Check and he does exactly what his name promises: tell you about the closest McDonalds and the availability of McFlurrys. It came to my head a year ago, when one night I approached a McDonalds eager for an Oreo McFlurry and I was surprised when they told me the machine was broken. It is very simple. 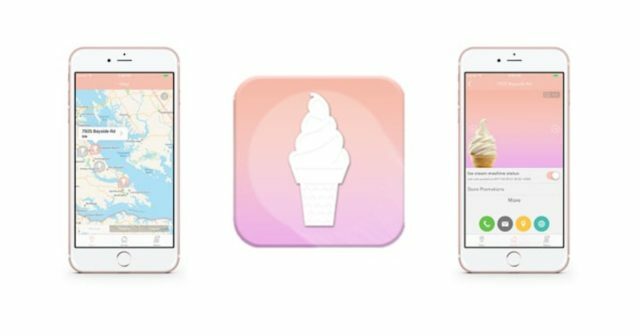 Just activate the location in the application or write a place and you'll see nearby McDonald's . If the icon is gray, it means that the ice cream machine does not work. But oh friend, if it works you'll see it in pink and you'll be able to get closer to enjoying it. As in Waze, it is a social app , what does this mean? Well, if you go to a McDonald's and you see that the machine is broken, slide the icon of that restaurant to go gray. Needless to say, it requires that many people use it so that the results are updated in real time and that in the United States it will be very useful, as well as in large cities, but here that we only have a few alternatives we will have.